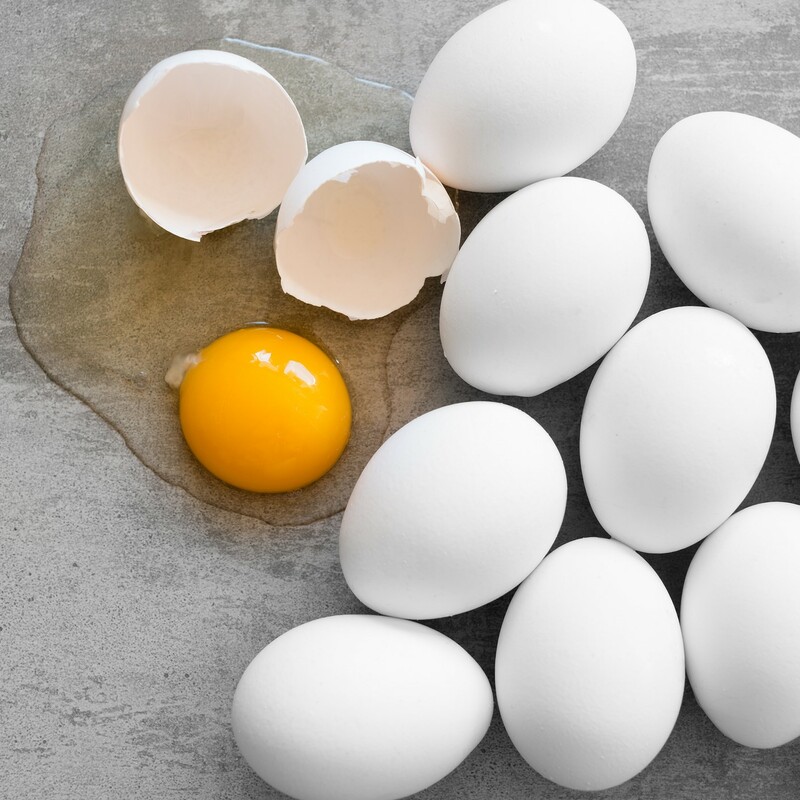 Eggs have two allergenic parts, the yolk and the white. Eggs are considered a priority food allergen by Health Canada. Many children with an egg allergy may outgrow the allergy within a few years. For others, an egg allergy can be a lifelong condition. If your child has an egg allergy, consult your allergist before reintroducing your child to egg products. The proteins in eggs from chickens are similar to those found in eggs from ducks, geese, quails and other birds or fowl. Therefore, people who are allergic to eggs from chickens may also experience reactions to the eggs from other animals. Some people with egg allergy can consume extensively heated/baked products that contain egg (i.e., with the product completely cooked throughout). If you have an egg allergy, please consult with your allergist before consuming any baked products containing egg. An allergic reaction usually happens within minutes after being exposed to an allergen, but sometimes it can take place several hours after exposure. Anaphylaxis is the most serious type of allergic reaction. However, a drop in blood pressure without other symptoms may also indicate anaphylaxis. It is important to know that anaphylaxis can occur without hives. If you have an egg allergy, keep an epinephrine auto-injector (e.g., EpiPen®) with you at all times. Epinephrine is the first-line treatment for severe allergic reactions (anaphylaxis). Read ingredient labels every time you buy or eat a product. If the label indicates that a product “Contains” or “may contain” egg, do not eat it. If you do not recognize an ingredient, if there is no ingredient list available, or if you don’t understand the language written on the packaging, avoid the product. Once at the store before buying it. Once when you get home and put it away. Again before you serve or eat the product. Always carry your epinephrine auto-injector. It’s recommend that if you do not have your auto-injector with you, that you do not eat. Check with manufacturers directly if you are not sure if a product is safe for you. Be careful when buying products from abroad, since labelling rules differ from country to country. Watch for cross-contamination, which is when a small amount of a food allergen (e.g., egg) gets into another food accidentally, or when it’s present in saliva, on a surface, or on an object. This small amount of an allergen could cause an allergic reaction. Note: These lists are not complete and may change. If you believe you may have reacted to an allergen not listed on the packaging, you can report it to the Canadian Food Inspection Agency, which may issue a product recall. Find out more on our Food Labelling page. Some content on this page is based on information from the Health Canada website.